Let Signatures & Visions Event Center help you plan your next event! 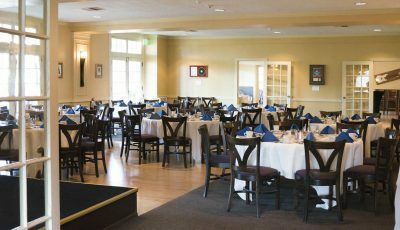 We offer the ideal location for your banquet, from an intimate small gathering to an elegant wedding reception. When you are a customer at Signatures Restaurant, theGrill, Visions Event Center, or any other time you are dining with us, we make every effort to accommodate guests with dietary restrictions or special dietary needs, such as: vegan, gluten free, vegetarian, and more. Please contact us ahead of time for special requests for your event, or, if you’re dining with us, please let your server know how we may help. 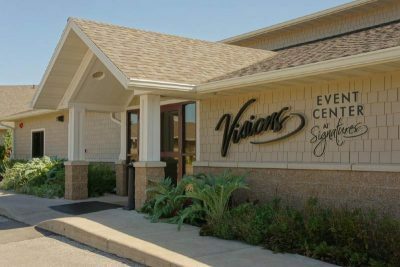 Let Signatures & Visions Event Center help you plan your wedding! 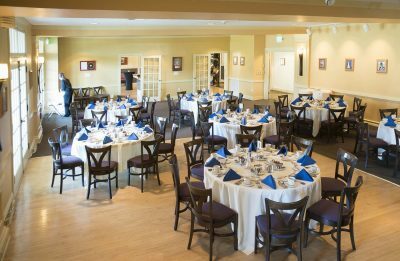 We offer the ideal location for your wedding reception banquet, bridal shower, or wedding rehearsal dinner. We Excel in Planning Creative Meals That Will Delight You And Your Guests. We have developed recipes and menus with only the finest ingredients, many from local producers. From a simple continental breakfast, tasty lunches, unique hors d’ oeuvres, or dinner events, the possibilities are endless! Whether your celebration or banquet event is formal or informal, your guests will feel right at home at Signatures. Our professional staff is here to serve you. Room setup and clean up is included in your price. 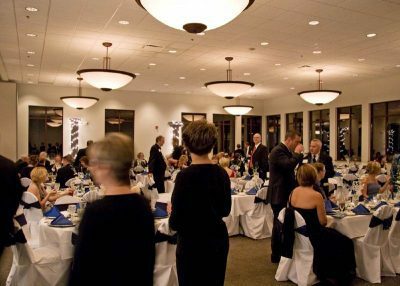 We will help you with the best room layout for your function so that your event turns out exactly the way you planned it. We can also provide a full service bar for your celebration event. Looking to introduce a new and dynamic environment for your upcoming business meeting, seminar, or corporate event? 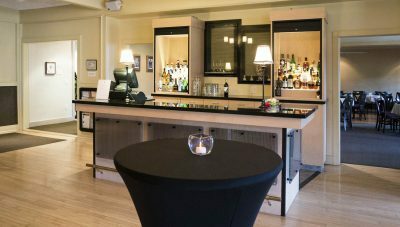 At Signatures, you will experience a unique atmosphere. 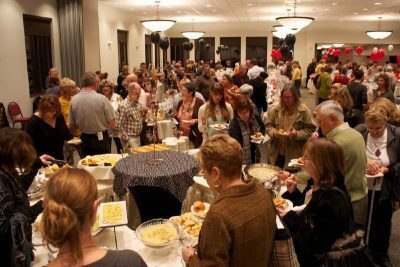 We can accommodate smaller groups of 20+ people or large functions ranging into the hundreds. 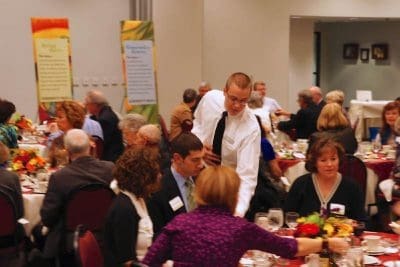 Our professional staff will manage every detail to ensure your event exceeds your expectations. We are known for our spectacular view of the bluffs, food presentation, courteous service, great ambiance and outstanding comfort. You can rely on Signatures for all your corporate events, needs for business meeting rooms or business entertaining. Our corporate event catering specialists excel in creative meal planning that will delight you and your guests. Learn more about our catering services and view our menus. 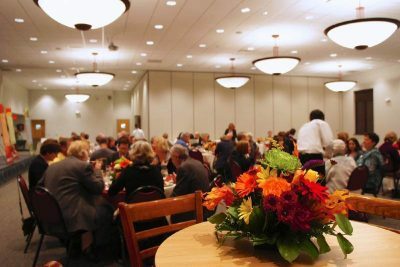 The following are Banquet Menu Suggestions with some general pricing information. These are not your only options. We feel these menus should be used to assist with the menu planning process. Please feel free to think about what your guests would enjoy; any protein may be paired with any starch or vegetable. At Winona Golf & Dining, Inc we have a very creative culinary team who enjoy working with the client to create a memorable and unique dining experience for you and your guests. 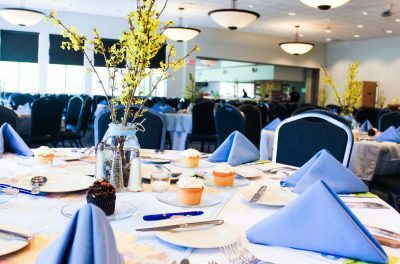 Winona Golf & Dining is pleased to be able to offer more than one choice and allow your guests to choose their meal for your function. If you would like to offer your guests two choices, both entrees will be priced at the higher of the two prices. Should you choose to offer three choices to your guests, all three choices would be priced at the highest priced of the three choices plus $2.00 per person. We are unable to guarantee menu pricing more than one-hundred and eighty days prior to your function. We ask to have final menu selections no less than thirty days prior to the function except by special arrangements with Winona Golf & Dining. This insures product to produce your event is available and eliminates your possible disappointment. You may make menu changes up to fourteen days prior to your function with the approval of the Executive Chef. 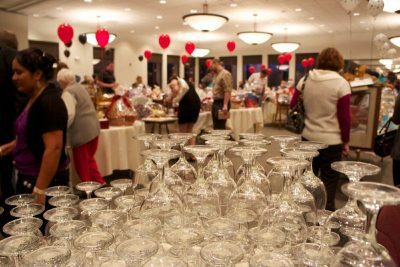 Any products already purchased for your function will be charged to you at cost plus twenty percent, plus the taxable eighteen percent service charge, and the sales tax and will remain the property of Winona Golf & Dining. Also note, no food will be allowed to leave the premises or control of Winona Golf & Dining, Inc from Signatures Restaurant or Visions Event Center at Signatures Restaurant, except as requested by an individual guest of their individual “plate.” Buffets and “leftovers,” will not be packaged for contacts, groups or organizations. Please inform your vendor there is no parking allowed on the cement pad behind Visions, prior to, during or after an event. Loading and unloading is permissible, however vehicles must be moved to the parking lot before the arrival of the first guest. 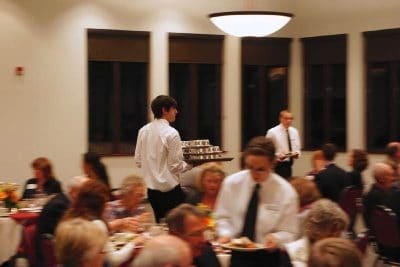 Groups over 8 people will have to provide a credit card and groups over 14 people need to leave a message for manager to discuss a limited or banquet menu. What other details would you like to share with us? Feel free to be specific!